Peppermint Magazine has launched!! 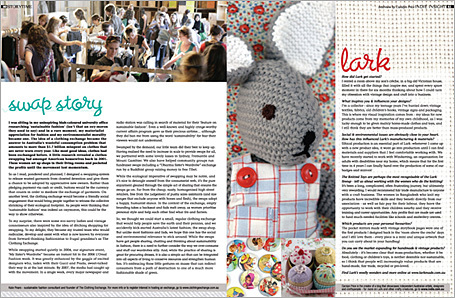 The first issue is FREE and is spilling over with absolutely gorgeous images, products & environmentally-conscious labels from Australia, New Zealand and around the world. 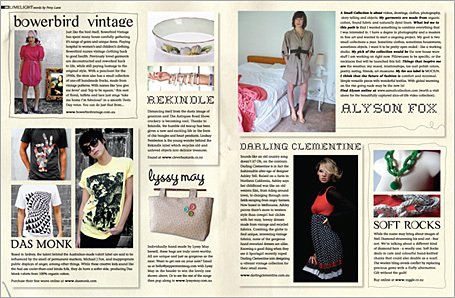 Collect your copy from one of the following stockists, or if that's a little too far to travel, hop to www.peppermintmag.com and you can order a copy to be posted specially to you for just AUD $3.50 (+$2.45 p&p). In "Skin and Threads", Peppermint Magazine takes a look behind the scenes at a local label which is taking steps towards a more sustainable future in style. Skin and Threads use only natural & organic fibres in their effortly chic designs, but surprisingly they found an initial resistance among boutiques to take on an eco-label. "There was a general perception that eco-friendly couldn't be fashionable" explains Penelope Cohen), who together with Emma Gathercole forms the duo behind Skin and Threads. How things have changed! I love the Bamboo Fish t-shirt (AUD $114) featured on the Global Guy page. 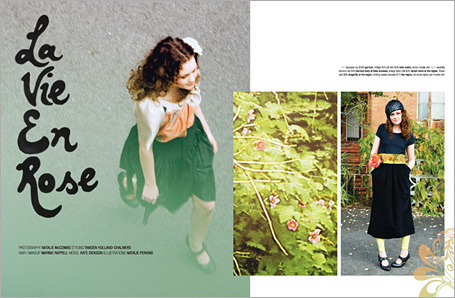 It is made by Pure Pod, a sustainable fashion label based in Mullumbimby in northern NSW. The Car Upholstery Wallets (AUD $45 each) look pretty cool too - these are from Nearly Roadkill. 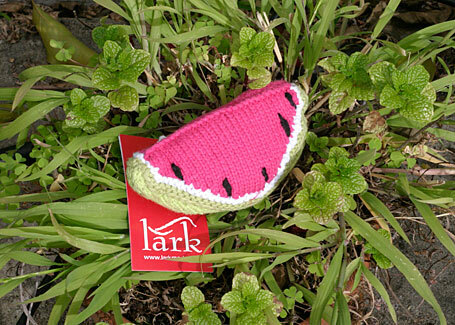 Watermelon hand-knitted fruit rattle by Lark - AUD $14.95 (incl. 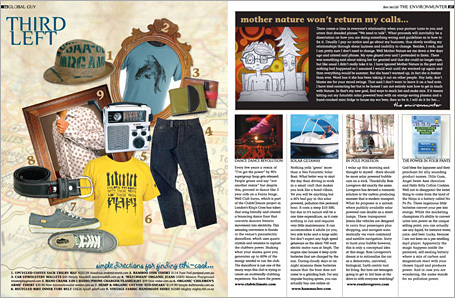 GST) from indie art & design store. We've also stocked the indie store shelves with an array of Lark handmade products - colourful knitted fruit & veggie rattles, knitted doughnuts & sweet treats, and gorgeous vintage storybook mirrors & magnets! The Lark lineup is very reasonably priced & would make such original & personal gifts for a new arrival or new mum, or anyone who has a soft spot for the stories of their childhood! 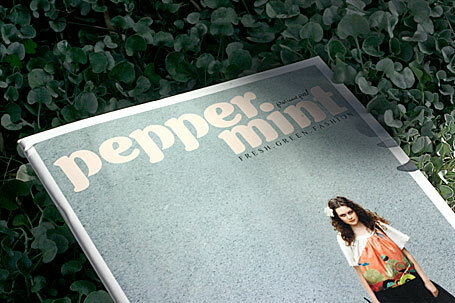 We also have a few copies of Peppermint Magazine to give away, so the first three indies who purchase from our Lark product selection will also receive a copy of Issue 1 of this minty fresh mag!